Why Does Warner Bros. Insist On Messing Up Wonder Woman? Superhero + princess = awesome. This isn't rocket science, people! 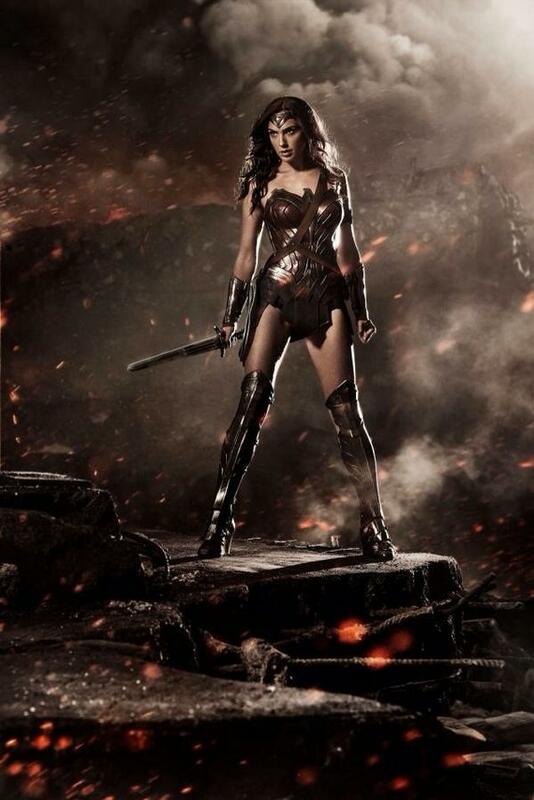 Batman v Superman: Dawn of Justice director Zach Snyder revealed the first image of Gal Gadot as Wonder Woman at ComicCon. The movie, which will be produced by DC Comics' corporate parent Warner Bros., is going to set the stage for the three classic superheroes to star in a Justice League movie, and presumably, a solo Wonder Woman film. 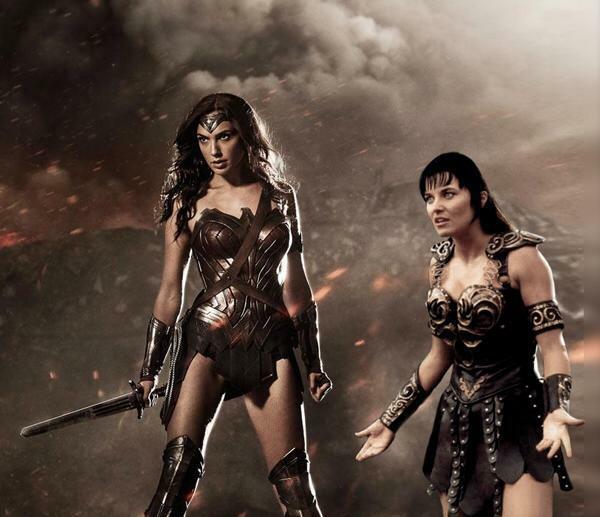 The Internet reacts to the first photo of the new Wonder Woman. The monochromatic brown armor is definitely a far cry from the bold primary colors of Wonder Woman's iconic costume from the '70s TV show, several animated series, and over 70 years of comics. But the new look certainly fits in with the extremely grim aesthetic of Snyder's take on the DC Universe, which started with his Superman movie, Man of Steel. In the abstract, it makes sense for the cinematic DC Universe to run with the ultra-serious, drab Nolan style. Those movies were enormously successful, critically acclaimed, and the tone is very different from their main competition, the Marvel Cinematic Universe. The problem is that while this approach makes perfect sense for Batman, it's all wrong for very different characters like Superman and Wonder Woman. The urge to make those two characters excessively violent and grim is totally contrary to their essential appeal. They are meant to be colorful, optimistic, inspiring figures. But this is all part of an ongoing trend in which Wonder Woman has been repositioned as an armored, sword-wielding warrior in an attempt to appeal to men who conflate "realism" with seriousness and violence. And in the overwhelmingly male world of comics, toys, and video games, that makes some sense. But in terms of movies and the broader potential audience for the character, this approach is entirely tone deaf. By obsessing so much about how to make young men interested in Wonder Woman, they barely give a thought about how to make the character appealing to women. They also ignore the reality that the huge success of superhero movies is owed in large part to women going out to see those movies, and the fact that people are clamoring for more female superheroes on the big screen. The conventional wisdom in the comics world is that Wonder Woman is a difficult character to write and market, but this is because creators only think in terms of selling products to boys, and overthink everything. But it's really quite simple. Wonder Woman is a PRINCESS who is also a SUPERHERO. Princesses and superheroes are the most popular and profitable things in entertainment today. Imagine for a moment that Wonder Woman belonged to Marvel and Disney, and not Warner Bros. Consider what they, or their corporate sibling Pixar, might do with a SUPERHERO PRINCESS. This set of sketches of Anna from Frozen as Wonder Woman by Samantha the Cat should help you picture it. Then think about what that Wonder Woman movie would be like if a woman wrote and directed it, and kept it true to the character's roots as a proudly feminist icon. Now that you've imagined what could be the most successful movie of all time, look upon Snyder's Wonder Woman and despair. "You like princesses and superheroes, kiddo? Wonder Woman is both!" "Like Ariel &amp; Spider-Man, Daddy?" "Um, well..."
"You like princesses and superheroes, kiddo? Wonder Woman is both!" "Like Ariel & Spider-Man, Daddy?" "Um, well..."